American Express has just announced that it is opening a new Centurion lounge at Heathrow Terminal 3 in 2019. This will be their first European location and the second non-US lounge, after Hong Kong. New York JFK (Terminal 4, covering Asiana, Avianca, China Airlines, Copa, El Al, Emirates, Etihad, KLM, Singapore, South African, SWISS and Virgin Atlantic), Los Angeles, Charlotte and Denver International Airport are all in development. The new breed of Centurion Lounges are a premium offering compared to American Express’ current Global Lounge Collection. They are only open to Platinum and Centurion cardholders. You may take two guests at no extra charge or, if you are a Centurion member, your full immediate family. The Centurion lounges opened to date have an excellent reputation, especially by US standards where lounges tend to be less premium than their counterparts in Europe and Asia. The biggest problem is overcrowding caused by their popularity. However, Heathrow Terminal 3 is already inundated with excellent lounge options including the Virgin Clubhouse, Cathay Pacific, Qantas and Emirates lounges, plus the more tired British Airways and American Airlines facilities. There are also two excellent Priority Pass options – Club Aspire (reviewed here) and No 1 Lounges (reviewed here). Adding another, albeit excellent, option will not have quite the same impact as it might at another terminal where premium passengers are less catered for. The lounge is to span approximately 7000 square feet, which is equal to one floor of the current Qantas two floor lounge or the Club Aspire lounge, and bigger than the 5000 square foot Plaza Premium lounge at Terminal 5. It may be a relief for those flying Virgin Atlantic and Delta. When Delta moved its operations from Terminal 4 to Terminal 3 after its joint venture with Virgin launched, its Clubhouse lounge had to cater for a greatly increased number of departures. The new Centurion Lounge may relieve some of the capacity issues and appeal to American Express Platinum cardholders looking for an alternative. It may also free up some capacity in the Club Aspire and No 1 Lounges sites as Priority Pass holders who receive it via Amex Platinum move across. Added to the two new sites opening in Gatwick South in the next few weeks, it looks like we are in for another promising period for new London lounges. Bits: Plaza Premium loses Cathay T3 management, LOT launches City to Vilnius, BA launching Islamabad? Unless the rules have changed again, only one guest is allowed per card holder. I believe it was two originally but it’s was dropped to one. The Platinum lounge finder says two guests for several lounges I checked. How do you get to be a Centurion cardholder? Await an invitation from Amex. Are you sure he has one? Has he said? How much does it cost pa? I think it is £4500 joining fee plus £2200 per year? Dunno but I think Nigel mentioned something about a Land Rover? According to wikipedia you need annual spend of $250k, income of $1.3m and network of $16m. I don’t think its a card I need to worry about. Centurion is a bit devalued ever since Medallion came in though. What are the benefits of Centurion? As far at as I can tell it gives you access to what are basically “fixers”. I read (on here I think) of someone who had the centurion card and couldn’t fly to South America due to the ash from the Icelandic volcano. At the time Eurotunnel/ferry route tickets were like gold dust. The centurion team worked out and booked a route for them to get there. No wonder the Sofitel can get away with charging £300 per night! I think I’d want an actual Centurion assigned to do my every bidding for that kind of dosh lol. Actually I would love to be a “fixer”, I wonder how you get to work for them? My career to date has involved solving so many people’s “issues” I think finding Eurotunnel tickets in an ash cloud crisis would be a lot of fun. @Chris on a recent post @Nigel the Pensioner was mentioning a fondness for the Sofitel and its Belle Epoque restaurant. Whilst on the subject of Amex, does anyone else get absolutely no targeted offers? I have a Platinum charge card and BAPP, and never get any offers, except ones like Shop Small. Amex just say “offers are targeted and you haven’t qualified this time”. Others seem to have lots of offers all the time. Same here. I stopped receiving any offers in August. Before that, I used to get every single offer mentioned here. I currently have 0 offers across all of my cards as does my partner. Between us that’s Platinum, Gold, BAPP and SPG cards. I made two complaints to Amex, including formal one. First they said that I wasn’t signed up due to GDPR which was total nonsense and the formal complaint resulted in them saying that offers are not part of card member agreeement. They also went on that I should contact customer service if I have trouble saving offers. Totally missing the point of my complaint. On top of that everytime I call Amex, the automated system asks me to activate a new card that has been sent to me (it hasn’t and I’ve been using some cards for over two years!). I alerted Amex about it and they said that you don’t need to activate the card to use it and it’s probably just a glitch in automated phone system! Normally, I wasn’t a big churner, but I will be cancelling some of the cards today. I think that’s the only way to maybe start getting offers again. Did you have a card(s) replaced at some stage, because of fraud or lost or similar? If so I suspect offers might be being placed on your old card number rather than your new one. No, not at all. Same card numbers. I find it all very strange and it’s poor form from Amex that they are not willing to look into this properly. Basically it was explained to me as an IT glitch – as it sounds like you have lots of supps and main cards across your Online Service Account(s). I think you may have been barking up the wrong tree with the escalation route you went down. Try removing any supps from your online services account (can be done in Card Management) leaving just the main cards. Once they’ve been removed you can ‘re-activate’ them (you’re not actually reactivating them but that’s what Amex call it) and create a new online services account for them – be sure to choose that option rather than logging into your existing account and adding them to that (as you’ll be back to square one). That worked for me and all my offers returned. Took a few hours and they came back first on the desktop site (strangely)..
Heather Flyer – thanks, I’ll give that a go. On my main account I have a Platinum Charge card and my BAPP card. My supplementary Platinum card that I’ve given a friend doesn’t show up. I’ll try removing/adding each one over the next few days and see if that help! Cheers! @Heathrow Flyer I actually did what you suggested before and it didn’t work. I also removed all cards and added them again. No luck. For supp cards, we actually have separate accounts. Same here meta, no offers, but for as long as I remember, only the ones like shop small appear. Also, I have never had a credit limit increase on my BAPP card, it’s an instant no when I have tried. I have had Amex look into it and they email back office and marketing and just get back that I haven’t qualified “this time”. They aren’t interested in the fact I get no offers at all. So a few weeks ago I applied for a Gold Rewards card. It has a much larger credit limit (Despite not even wanting to add £1k to my BAPP card). I did have to create a new sign in as it wouldn’t let me add it to my existing account but it’s still linked to my Platinum charge card membership rewards points, so they know it’s me. On my new Gold card I now am getting offers, I have 13 today. I find this so bizarre. They are willing to give me a large credit limit but refuse to increase my BAPP. Something must be wrong on my original account buyt Amex refuse to accept that, just saying “we can’t comment” and “offers are targeted”. I’ve got nowhere with my calls to them. Surely you mean “when Delta moves its operations from Terminal 4 to Terminal 3”? Virgin have always been at T3. Basic errors such as this start to make you doubt what other errors there are that may not be as minor. T3 as for a while only some switched then some switched back until they all switched) some DL elites are shunted off to one of the commercial longes. Also VS has a ‘guest must be on the same VS flight’ rule. Apologies, both Rhys and I know what should have been written there. We are running a tight ship at the moment with the normal content, the party (we have got a sponsor over the line now) and the interviews for the full time HFP job, which are 2 hours each including an exam. I was meant to have a 7.30am meeting with Virgin this morning, luckily it got cancelled! At a lunch with Craig Kreeger, the Virgin Atlantic CEO, at noon. Meant to be getting the details on the new VS Upper Class seat on the A332s within the hour. Rhys down in Crawley discussing the party. No peace today! After the appointment can you publish the ‘exam’, think we would all love a go! You get 20 (real) random reader emails to reply to. Doesn’t matter because it is impossible to answer all the questions in the time allowed if you don’t know the answers off the top of your head. Just a small technical question. Are Avios points allocated according to the tier when you book or when you travel? I have Silver status with BA. My Tier points collection year ends July 2019. My card expiry however is more than a year later, August 31 2020. I assume this is to do with the two year extension granted last June to compensate for the disrupted flights weekend (I did fly that weekend). I can’t remember receiving the email but it’s quite likely I did..
My question is this – if my silver card status lasts until August 2020, what happens to the tier points I earn in this current year (until July 2019)? If I hit 600 points (very likely), will that qualify to extend my silver status a year further on than August 2020 – taking me to August 2021? Or is it a waste of time flying BA this current year – may as well collect miles/status with a different airline Partnership/group? Nice – wish exams at school & uni had been like that! Really excellent idea for getting someone who’s already up to speed. Q2. I’ve earned a 241 from my BA Amex. If I cancel the card will it disappear from my BAEC account? Q3. Which Tesco branches have 3V cards? Q4. If I withdraw cash with my Curve linked to Virgin Money card, will it get charged as a purchase or cash advance? Q5. If I use Amex Travel to exchange currency, will it get charged as a purchase or a cash advance, and does it count towards welcome bonus and/or 241 spending? Q6. Where is the legendary ‘place in the sun’? Q7. Name at least 4 of Harry’s aliases. Actually 3 of my posts figure in the stretch task for candidates who finish with time to spare. They are gradations of ‘where exactly would you wield the big red pen?’ judgement calls. How can I get a centurion card? Push a shed load of money through your Platinum? I was putting through 6 figures annually on my Platinum, soo just phoned them to ask one day. They played it all cool, told me how they couldn’t do anything other than pass a note on, yet then about 2 months later I received the invite in the post. Then I read said invite, realised it offered me nothing of use – other than a drain on my bank account for the high fees they charge – and never went ahead. Best option is to find a mate with one and give him the £500 fee for an extra supp card. He is not out of pocket and you get all the benefits inc Hilton Diamond etc. I was offered the ICC version and, like Tom, refused because under no scenario can it offer value for money, unlike Platinum. Despite common opinion, people who have made their own money after many years of hard work do not suddenly forget how hard it was to get it and suddenly start throwing thousands around willy nilly. Unlike Nigel the pensioner who prefers to boast about wasting his money willy nilly! Absolutely, wealthy people are often precisely that because they are extremely prudent! And the kind of person who values things like the 2 4 1 voucher and free breakfast will generally want a lot of value out of any credit card fees they pay. Alex W +1!!! Amen brother. Aldi offers on 3 cards – it was like Christmas come early! I’ll take a bet some are ‘comped’. Re list of current Centurion lounges – I think you missed out Buenos Aires. No we didn’t. 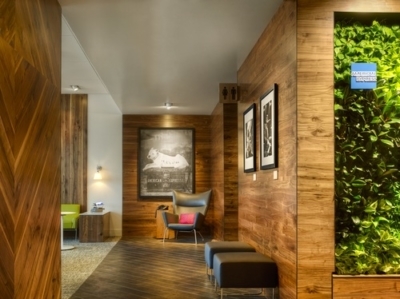 Amex does not see those as Centurion lounges despite the name on the door. I know, but Amex does not want users of those lounges thinking they are getting this new standard. Yep, they’ve been there for many years though and aren’t nearly as high a standard as the new ones. Was fun that they had a lounge within a lounge for Plat/Cent cardmembers. only been in one amex lounge back in DFW and i have to say i was impressed… hope they open more! There is the Mexico City Centurion Lounge which I have always thought the best in the network which doesn’t get a mention in the article! Didn’t want to muddy the water, that is NOT a Centurion lounge in Amex’s eyes as a quick look at their Centurion Lounge website will prove. But can Plat card holders use it? That is odd as it is I believe the only lounge with a dedicated Centurion side which I must say is superb! Maybe this is why Amex doesn’t want to confuse things. If your a Cent card holder and go there the rest of the lounges seem pretty poor by comparison! Equally I think its worth pointing out these other lounges so people know about them if HfP is your main source of info on these things! You can go landslide at T5 no problem and take the tube/HEX for free to T3. You’d then need a ticket for T3 to go airside – I guess you’d have to ‘miss’ your T3 flight and be asked to be escorted back landslide – they also probably ask you to go through passport control again I imagine? Maybe someone on here will have experience of missing their T3 flight? I have done this many a time; never go landslide as it will cause many problems with ‘Ready to Fly’ later on. You will also not be allowed into T3 from landslide with a T5 boarding pass. The ‘shopping rule’ doesn’t apply when entering T3 you see from landslide (it only applies from airside). So seriously! Don’t do it! However, Simply during your stopover take the airside flight connections route to T3. When done, simply take the airside bus back to T5. You will have to clear security both times. On Saturday it took me 45 minutes to get from C gates T5 to the Cathay Lounge T3. It was only 30 minutes back but I’d leave an hour to be safe. I can see why you might do this as a student but these days I think I’d stay in T5 Concorde. it is possible but you would have to go through security twice – once on entry into T3 and then again at T5 on the way back. There are threads about it on the BA flyer talk board if you google them that have more details in. Just remember to be back in T5 to comply with conformance etc. 7 hours! Due to no avios availability back to GLA, there is however lots of availability to EDI, but that’s a pain as car will be at GLA. Several hours in the Concorde Lounge sounded not too bad at the time of booking, but now as it draws closer i am going off the idea (although OH still thinks its a great plan). Getting airside at T3 doesnt seem doable. Yeah I had 4h in CCR – was fine, but very busy and wouldn’t want 7h! Worth Ix the Heathrow Shopping route I mentioned? Alan’s shopping route sounds like the best option. I’m not sure it even has to be a store that’s only in T3. I’ve never done this, but one of the stores actually suggested this to me when they were out of something, and thought their store in one of the other terminals might have it. Presumably you could then say you want to take your time shopping and use your onward boarding pass to get to T5 via the airside bus. On the other hand, someone at the Concorde room might just take pity on you and put you on an earlier flight back to GLA, but it could be a problem with luggage. And when you get to T3 you tell your chaperone that you just need to use the bathroom and run for your life to where you wanted to go to in T3. Then repeat the request to shop in T5 to get back there. This will be a great addition to T3 for those not flying in business and no status. Another reason to keep the Platinum card to pair with PP in T5. Does anyone have an idea when this will be open? Press release just says ‘in 2019’. Platinum and Centurion Cardmembers can get a taste of the Centurion Lounge’s premium service and amenities at an exclusive pop-up at Unit 6, Langley Street, in London’s Covent Garden which will be open from 13 to 16 December from 11:00am to 6:00pm each day. 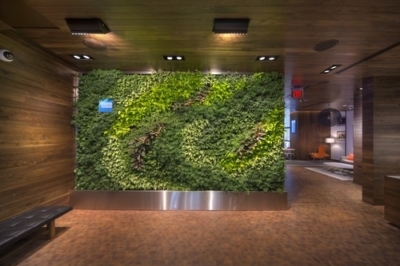 A much needed sanctuary from the hustle and bustle, the pop-up Centurion Lounge will offer complimentary bites and beverages, gift wrapping services, charging stations and family programming. Platinum and Centurion Cardmembers are welcome to attend with up to two complimentary guests. 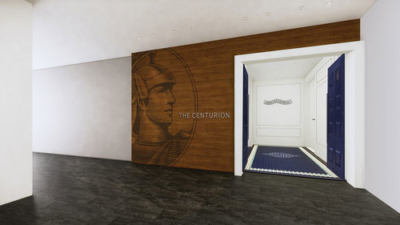 More information about The Centurion Lounge pop up at Covent Garden can be found here. Don’t remember anything about it only being for a day, I think it’s earlier closing than last year though? Planning to be there on the Thurs, hopefully no pre-arranged events this time! If it’s like the other centurion lounges it will become overcrowded very quickly. The main benefit of this could be a quieter clubhouse, Cathay lounge etc. OT but lounge related – is there a lounge for those flying BA F out of LAS? I can find just Centurion, Club and United. Thanks. I guess it’ll be packed! The club at LAS is pants. Centurion lounge is quite a long walk + shuttle, but it’s definitely worth it. Without a plat I think you can buy access for $50 if you have another amex card, unless the rules have changed. The Club at LAS is incredibly poor. Don’t waste your time. Yes you can but it takes a while. Shuttle train saves a bit of time. What are “premium” showers? Do they rain unicorn tears? The showers in the VS lounge are good, but if it’s heat and volume you want, the shakers in the VS Revivals are excellent! They ship water in from the Amazon to give you a genuine rainforest shower experience!